The production of industrial steel racking permits the immediate access to manufacturing means and the control over the different production steps from the acquisition of raw material, quality management of production processes as well as the management of delivery times. All above mentioned points are key aspects to assure an accurate supply of racking equipment, and a guaranty of a high quality service standards to our customers. Steel storage systems have to comply with strict standards, quality regulations and clearance norms. Storage systems is a strategic equipment in a company’s operational processes with the highest safety requirements, according to the massive load stored in the high and the risks involved in working environments with warehouse workers. A key factor to assure the highest quality level requested by the markets is to count on an own production facility with modern manufacturing means. 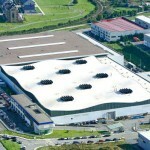 Noega Systems counts with the production facilities of Esnova for the production of racking equipment. Esnova disposes of state-of-the-art production technology that permits the manufacturing of the highest quality racking and storage equipment. 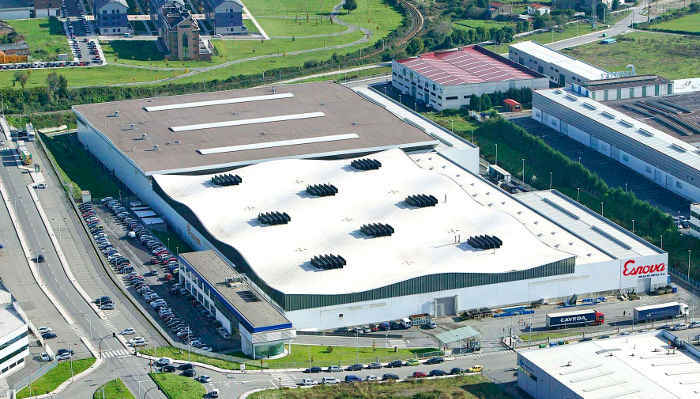 The production plant of 46.000 m2 permits both a mass production and the production of smaller badges and special finishing. Competitiveness starts with the acquisition of raw material steel, that is a key cost factor in the final product cost. Also the quality starts with the steel, for which it is essential to not only count on reliable suppliers, but also of product availability and all the certificates that allow a correct tracking which is essential to assure the quality of production processes. Our steel supplies comply with the European norms: EN 10025 “Hot rolled products of structural steel”, EN 10147 “Continuously hot-dip zinc coated structural Steel strip and sheet. Technical delivery conditions”, and EN 10149 “Hot rolled flat products made of high yield strength steel for cold forming”. Our quality management systems ensure the compliance of the requirements of above indicated norms, and are a warranty for our customers. 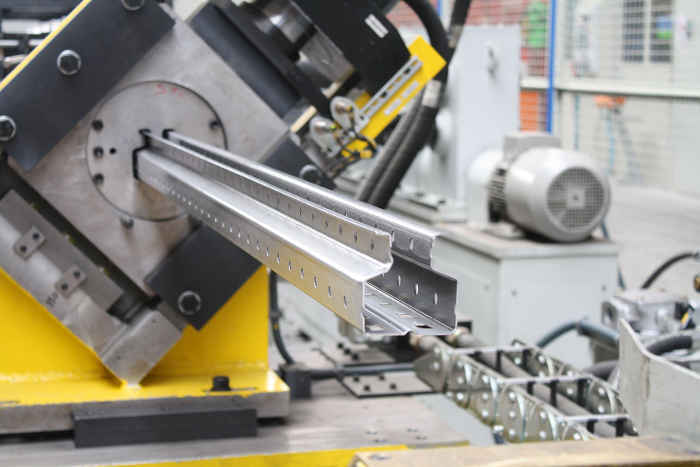 A complete machinery pool makes it possible to produce all different storage systems available in the market, from light duty boltless shelving up to automated highbay clad-rack buildings, using high technological standard such as modern painting lines for a perfect finishing (electroestatic powder application preceded by cleaning and surface treating processes), profiling lines for cold forming of profiles with press coupled to it for hole punching, automated welding units for welded joints, and auxiliary production units like laser cutting, plasma cutting, stamping and bending machines, paneling, and a machining center for flexible in-house tool and die production. 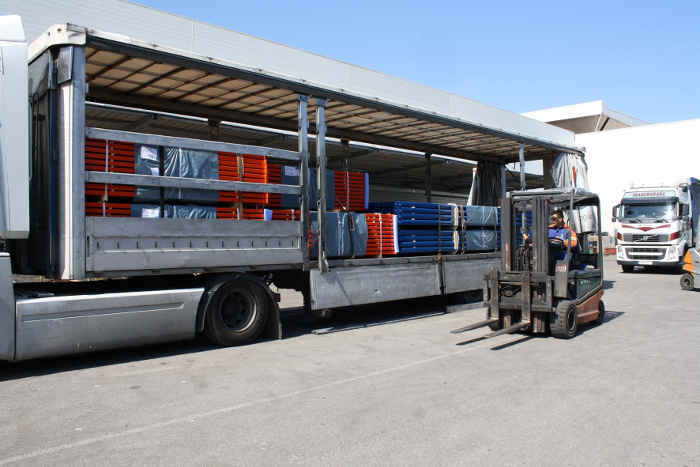 A complete and modern production infrastructure starting with entry of raw material to the shipment on truck or sea container of finished goods, ready to be transported to the final destination.